Do you want to join a local family here in Sweden to celebrate the traditional way? The Swedish Midsummer when dancing around the Maypole and eating pickled herring- a night full of magic. 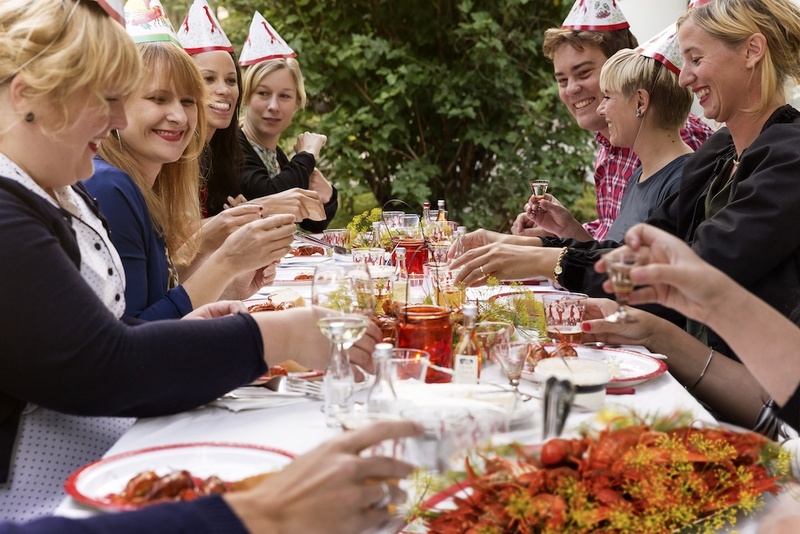 Or a Crayfish party in August when we feast upon crayfishes and wear funny hats. Maybe in the dark December which is lit up by Lucia, she comes with ”light in her hair”, a crown with candles. We eat saffron buns, drink warm glögg and gather with family and friends. Some of our fantastic hosts invite you to celebrate our most beloved traditions with them. Book your Midsummer lunch here! Book your Cray Fish party here!